Ready for this? 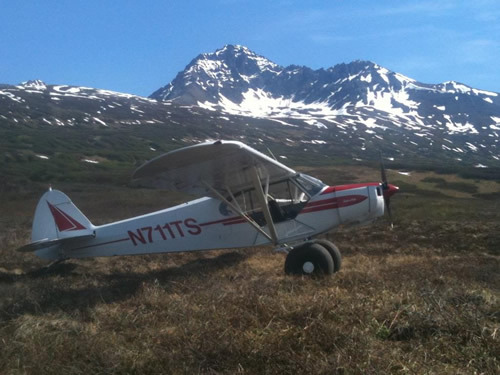 We take you up in the Alaskan hot rod- Piper Super Cub. You’ll fly lower and slow over the ground and be amazed at the versatility of this plane. We’ll explore gravel bars and river areas few Alaskan’s get to see this way. A bit of exploring and adventure is built into this trip. You will not be disappointed with the multiple landings and exciting views from this specially equipped aircraft. Just you and your pilot! Perfect for the single traveler or those that have ‘done it all’. 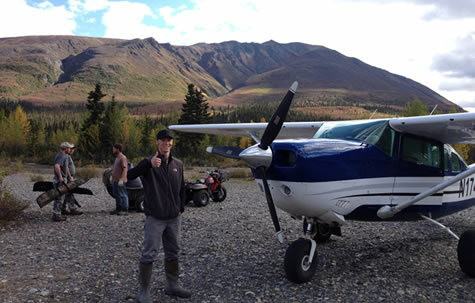 Let our Bush Pilot’s show you what we know. Nowhere else can you experience this type of flight experience. Mellow ride for those that ask, exciting for everyone else! We head into the rugged nearby river drainages and glacier moraines for some performance flying. No stunts, but the mostly glass cockpit will amaze you. 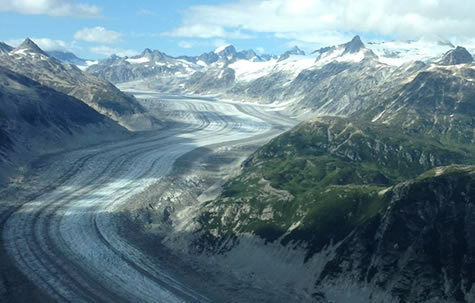 If you choose, later into the flight, we customize your tour and head deeper into the wilds to see glaciers and wildlife. A ridge top or river bar landing here will make you feel alive! The Local’s favorite trip. Come See why. $250.00 base. (Optional $100 each additional hour). One passenger and pilot. Sorry, 10 years or older please.